A couple of weeks ago my daughter and I were on the train heading back from the city when we stopped at a station. Directly outside our window was a billboard ad for the K-Swiss Tubes running shoe. Knowing nothing of this shoe, I judged it on design alone. Built within the outsole were a series of open "tubes" that run perpendicular to the length of the shoe. The tubes were clearly designed to disperse shock and (I'm guessing) return some energy from the impact. I just remember thinking that I would never wear that shoe in public. 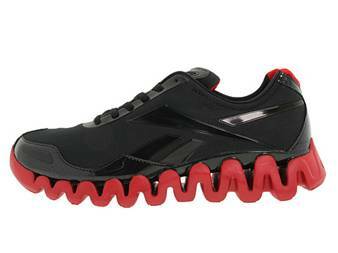 The Reebok ZigTech shoe provides a similar visual reaction. In the case of this shoe it's a rippled outsole (e.g., "zig-zag") that supposedly provides a flexible high energy experience. I've been amused by the marketing of the shoes and the fact that not one athlete who endorses them is known for their running. I don't know if the technology works but they sure look funny. One model of a weird shoe that I have tried is the Adidas Mega Bounce. I like Adidas as a brand so I put on a pair out of curiosity. I expected springiness but all I felt was awkwardness. So much for that. 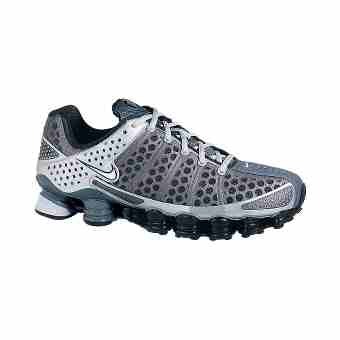 I'd put the Mega Bounce into the same category as the Nike Shox. This shoe is built with shock absorbers in the back that remind me of the air shocks I installed on my Mustang when I was in high school. 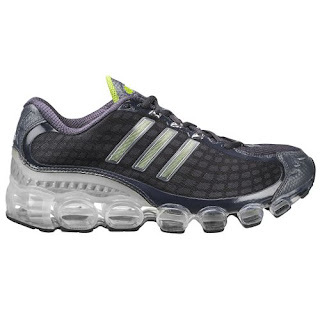 This shoe seem to be popular and they are fairly pricey but I rarely see them on the feet of real runners. 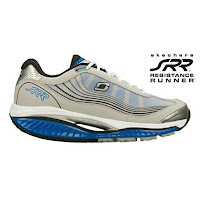 This weekend I saw an ad for Skechers SRR (Skechers Resistance Runners) that looks like a cross between those ubiquitous "Shape Ups" and a running shoe. Their website claims that dramatic gains in postural, gluteus medius and calf muscle activation (???) will come with the use of these shoes. Okay, good to know. I realize that all of the serious running shoe companies have their own unique science. Brooks has DNA and BiOMoGo, ASICS has their GEL and Trussic technologies, Saucony has "Pro Grid" and Mizuno has the Wave. At least these features are integrated into the shoe in such a way that they look like serious footwear. I could say I'm not one to judge but clearly I am. The question is, if K-Swiss or Skecher were to send me a pair of their latest models, would I give them a fair shake on Runner's Tech Review? The answer is yes. However, I guarantee most of my testing would be done in the early morning, in the dark, so I'd have the lowest chance of being seen with them in public. Annually, I buy a new pair of running shoes at the beginning of the season. Your comments add a new thought my buying decision. Price & comfort have generally been my only criteria. Previously, you had mentioned 'barefoot running'. Are you familiar with this running shoe? My friend, a football coach, friend raves about the comfortable "sock/sneaker" shoe he owns. Each toe is inserted into it's own digit, similar to a glove. Looks funny! I certainly wouldn't consider any of the shoes I cited in this post for your next pair. 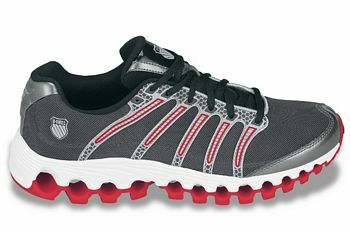 I bounce between trail shoes, conventional stability shoes, light stability shoes and minimal running shoes. I think the mix works for me. Your friend probably has a pair of Vibram 5 Fingers. They are about as minimal as they come, no cushioning whatsoever. I like the concept but not the execution. They look like gorilla feet. I experimented by running a couple of miles wearing pool shoes. It was fine and with no heel cushioning my foot natually landed towards the front. Not a bad choice at 20% of the cost of the Vibrams. I had to let the previous comment stand, it was just too funny to moderate. I guess I'll remain behind my desk growing fat and laughing!